Grew up… in the ancient Japanese clan, the Shirai Ryu. Hanzo Hashashi was raised to join the ranks of the Shirai Ryu’s infamous ninja assassins. His father begged him to find a different life, but Hanzo was determined to honor his ties to the clan and provide for his family. Living… only in the loosest sense of the word. Scorpion was killed by Sub-Zero, an ice-manipulating master ninja from the Shirai Ryu’s rival clan, the Lin Kuei. After his death, Scorpion was resurrected as an angry spirit of vengeance who exists only to punish those that slaughtered his clan. Profession… avatar of vengeance. Scorpion was an assassin before his death, but ever since his resurrection he’s had no appetite for earthly things, and so hasn’t required a job. He focuses all his time on trying to kill his nemesis: Sub-Zero. Interests… martial arts, hellfire, and mutilation. Scorpion is an unstoppable force of fire and carnage. He exists for nothing outside of combat, and only finds enjoyment in defeating a particularly troublesome foe. He has no agenda and no desires apart from revenge. Relationship status… widower. Scorpion’s wife and child were killed when the Lin Kuei slaughtered his clan. Challenge… killing Sub-Zero in the Mortal Kombat tournament. 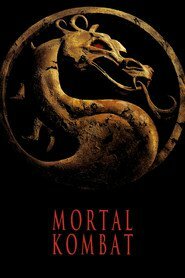 Once a generation, the greatest warriors from Earthrealm and Outworld are gathered to compete in a lethal tournament organized by the Elder Gods. While other fighters battle to decide the fate of their worlds, Scorpion is only there for one reason: because it offers the perfect chance to finally engage his arch foe in single combat. Last time the two met, Scorpion woke up in hell. It’s a favor he’s determined to return. Personality… wrathful, pitiless, and unstoppable. Scorpion’s rebirth in the Netherrealm has robbed him of any semblance of humanity he might have possessed. He still has a sense of honor, and doesn’t seek to inflict undue misery on the world, but is willing to do whatever it takes to exact his revenge on Sub-Zero. Everything else – love, wealth, the fate of the earth – is of no consequence to him. Scorpion's popularity ranking on CharacTour is #2169 out of 5,000+ characters. See our top-ranked characters and read their profiles.